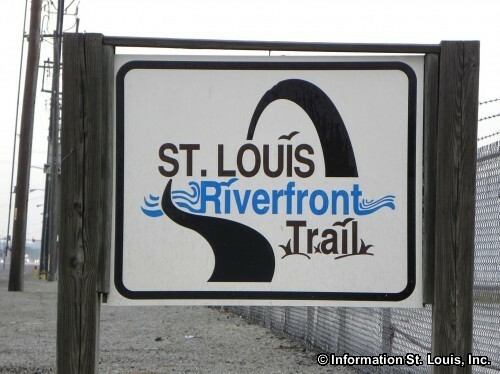 The Near North Riverfront Neighborhood is located north of Downtown St Louis along the Mississippi River. 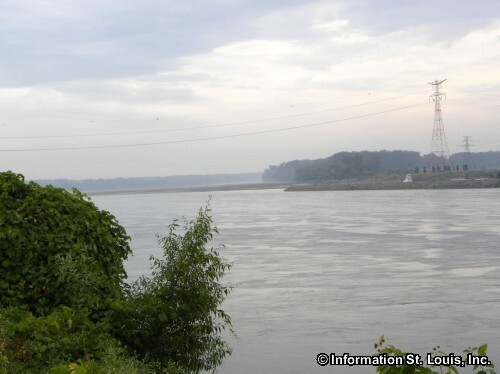 In fact, the eastern border for the neighborhood is the Mississippi River. Carr Street is the southern border, Interstate 70 forms the western and Adelaide is the northern border. 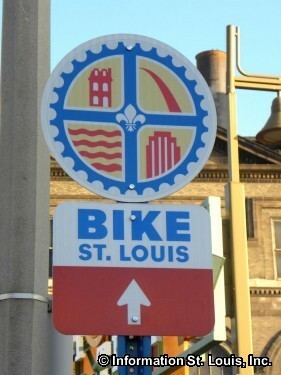 The neighborhoods that lie along the western border of the Near North Riverfront Neighborhood are Columbus Square, Old North St. Louis, Hyde Park and College Hill. The North Riverfront Neighborhood lies to the north and the Downtown Neighborhood lies to the south. The majority of this neighborhood is industrial in nature. There are several hundred residents that do live there, mostly on the streets that are between Broadway and Interstate 70. Before I-70 came through, these streets would have been part of the Old North St. Louis and Hyde Park neighborhoods. Access across, or under, the Interstate between those neighborhoods is via East Prairie, East Grand, Salisbury, Angelica, Branch, St. Louis, Madison, Cass and Biddle. The St. Louis Public School District serves the residents of the neighborhood. The district does not have any schools in the Near North Riverfront Neighborhood but it does have several schools close by. The Ames VPA Elementary School, on Hadley, is in Old North St. Louis. It is a Magnet School that serves students in Preschool through 5th grades. The school's focus is "Visual and Performing Arts" and "Gifted Enrichment" is available. Bryan Hill Elementary School is on East Gano Avenue in the College Hill Neighborhood. Clay Elementary School is in the Hyde Park Neighborhood on North 14th Street. Patrick Henry Downtown Academy is on North 10th Street in the Columbus Square Neighborhood. There are private K-8 grade schools nearby, as well. The Most Holy Trinity School, located in the Hyde Park Neighborhood on North 14th, is a private Catholic school. It was founded in 1848, at the same time as the Holy Trinity parish. The beautiful twin-spire Holy Trinity Catholic Church was built in 1899. The other school is the Central Catholic School and Academy in the Carr Square Neighborhood on North Jefferson. The closest St. Louis Public Library is the Divoll Library Branch in the Fairground Neighborhood on North Grand Avenue. Or the Central Library which is located in the Downtown West Neighborhood on Olive. 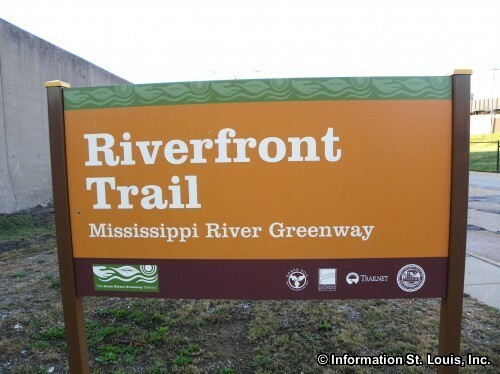 A great recreation feature which brings people to the neighborhood from both sides of the Mississippi is the Riverfront Trail. 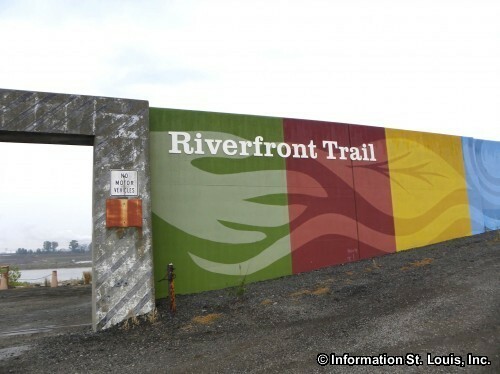 The Riverfront Trail is an 11 mile long biking, walking, running trail that runs along the Mississippi River and ends at the Old Chain of Rocks Bridge. The trail head is found on Lewis at Biddle Street. An historic City Landmark, the Union Electric Light & Power Company building, also called the Ashley Street Powerhouse is found at the trail head. 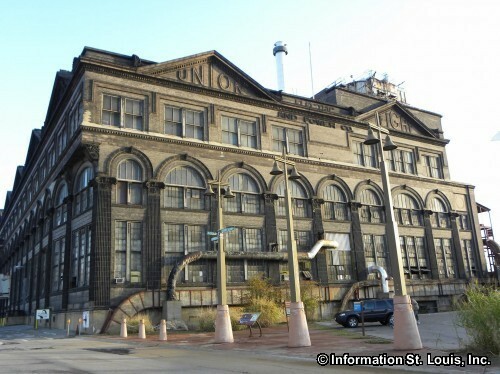 This historic building was designed in 1903 and the plant was producing power by the time the 1904 World's Fair began. Interestingly, this plant still produces steam power for about 100 other businesses and office buildings in the city, as well as the Arch and the Edward Jones Dome! 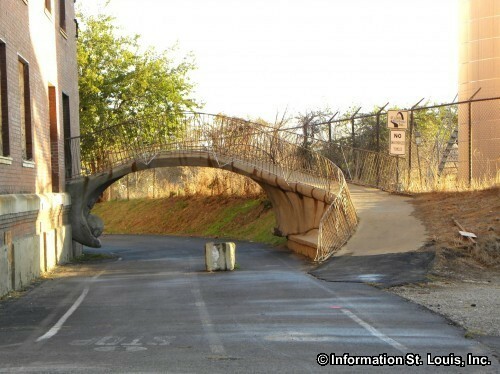 The are several St. Louis City Parks in the surrounding neighborhoods. One of them is Hyde Park, located at Blair Avenue and Salisbury Street. It has almost 12 acres of parkland, a one acre stocked fishing lake, gazebo, picnic pavilion, a playground, spray pool and 3 horseshoe pits. The Father Filipiac Park is in Columbus Square and is four acres of green space. Jackson Place Park is in Old North St. Louis and features a playground, a soccer field and a softball field. A unique location in the Near North Neighborhood is the Mary Meachum Freedom Crossing. 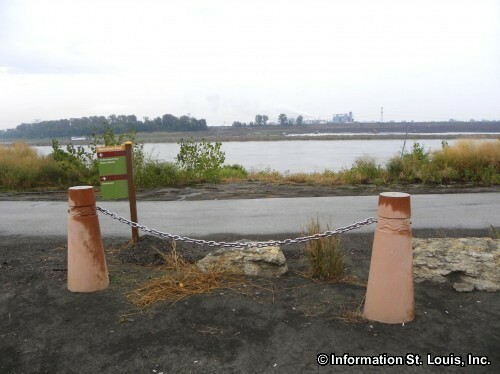 It is located on the St. Louis riverfront north of the Merchants Bridge, just south of East Prairie. This historic place is the location of one of the few documented Underground Railroad events in the United States. Because of the secret nature of the activities of the Underground Railroad, there are not many places or events that are documented. This one is documented because Mary Meachum, a freed slave and conductor on the Underground Railroad, was caught on May 21, 1855, helping slaves cross the Mississippi River from Missouri, a slave state, to Illinois and freedom.